Ironworkers are in the construction trades building the structural steel framework of metal buildings, stadiums, arenas, hospitals, towers and bridges. Journeymen earn salary packages totaling nearly $70 an hour. The start dates for this year’s remaining two-week pre-apprenticeship sessions are July 27 and Oct. 12. The first cohort of 10 trainees completed the pre-apprenticeships in June, with all hired for the next phase as paid apprentices. A fourth cohort will start Feb. 22, 2019. 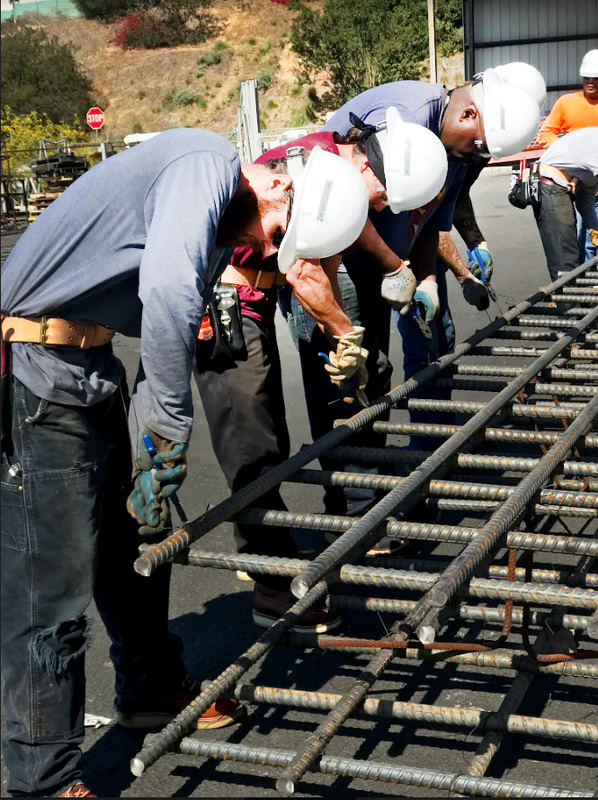 The training combines hands-on learning with classroom work from 7 a.m.-4 p.m. Monday-Friday at the Ironworkers Training Center at 3888 Beech St. in the Fairmount Park neighborhood of San Diego. 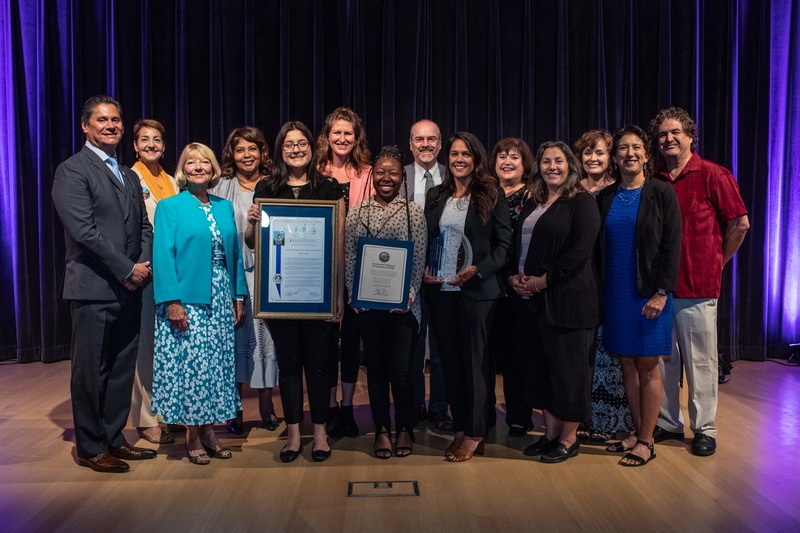 Cuyamaca College is one of two California community colleges to be honored today with the 18th annual Dr. John W. Rice Diversity & Equity Award for its innovative program that markedly increased the number of students who completed their math and English classes. 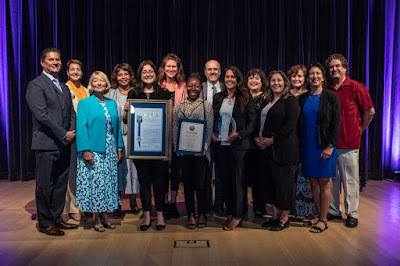 Cuyamaca College President Julianna Barnes and other representatives from the college received the award from Community Colleges Chancellor Eloy Ortiz Oakley at the Crocker Art Museum in Sacramento. Santa Barbara City College was also honored for a program that assists single parent students who are new or returning to college. 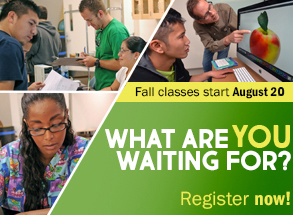 With the start of fall semester Aug. 20, open registration is just days away for almost 30,000 students working toward university transfer, training for high-skill jobs or expanding their horizons at Grossmont and Cuyamaca colleges. The cost of the courses is $46 per unit, with most classes offering three units of college credit. Online registration for regular semester classes opens July 9 for all students and ends Aug. 19. For first-time college students, the fall semester kicks off the much-anticipated Grossmont-Cuyamaca College Promise, which provides a year of tuition-free classes at either campus with the pledge to complete orientation, assessments and devising an education plan, and maintaining at least a 2.0 GPA as a full-time student. Beauty and the Beast: A New Musical is coming to the Grossmont College Stagehouse Theatre from July 26 through Aug. 4 as part of the annual Grossmont College Summer Theatre Arts Conservatory. 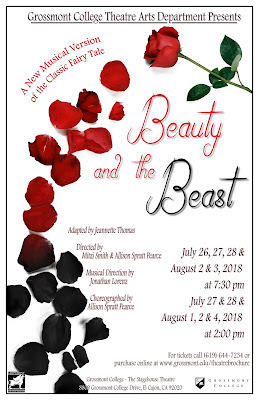 Adapted by Jeannette Thomas from Gabrielle-Suzanne Barbot de Villeneuve’s “La Belle et la Bete,” Beauty and the Beast: A New Musical continues the Summer Theatre Arts Conservatory’s tradition of mixing classic storytelling with modern music. Tickets are selling at a rapid pace and three performances already are sold out. Now in its fifth year, the summer conservatory allows student performers and technicians to learn what it’s like to work in a professional theatre in daytime and evening classes. Students are taught specialized skills that include acting, costume design, lighting, set design and marketing at one of the most respected college theatre programs in the region. The program is free for the nearly 50 high school and college students taking part.